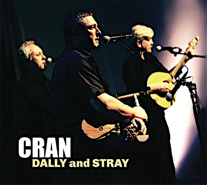 Here, on CRAN’s famous recipe page, promoted to the front of our site, you will find morsels of trivia interspersed with items of momentous depth and importance. 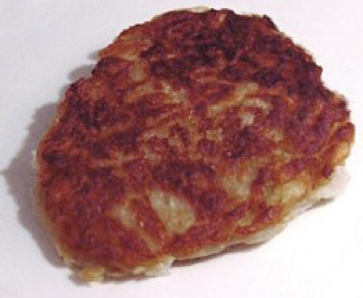 Staimpí (often called BOXTY in the north of the country) is an old traditional peasant potato cake or dumpling which was very popular when Irishmen had to work very hard and needed to replace huge amounts of calories after slaving away all day in the fields. The basic mix is made by peeling and finely grating some potatoes. These are then put into a muslin cloth and all the liquid is squeezed out of them into a glass bowl. Keep the dried potato and leave the liquid to stand until the starch falls to the bottom as a white sediment leaving clear water on top. Pour the water off, leaving the starch in the bowl. The dried grated potato is then mixed with the starch to make a dough. A little flour can be added if it is not binding well. This is then made into flat thin cakes and fried. Watch out! It is very filling! Martie Konradt has emailed us to say that the Dutch version of Staimpi is called “Rösti” which is also a kind of pancake made from grating potatoes. Martie also mixes the grating potatoes with some flour, eggs and grating cheese.